Judy is an artist who loves to travel. 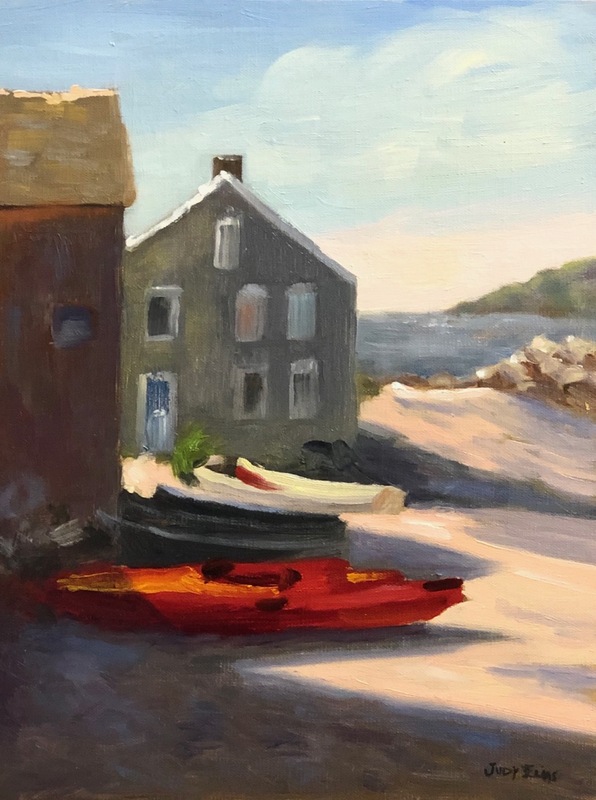 She depicts the places she visits in colorful small paintings of scenes from all over the world in a vivid, representational style.She paints mostly smaller pieces en plein air, but is not adverse to enlarging a plein air study if a client likes it and wants something larger. Judy is a skilled draftsperson, as is readily evidenced in the foundations of her paintings.